I’m not a fan of reading.The only book series I’ve ever read was the Harry Potter series. So, when a film comes off that’s based off a book, all I know about it is the trailer. This is the case for Maze Runner. 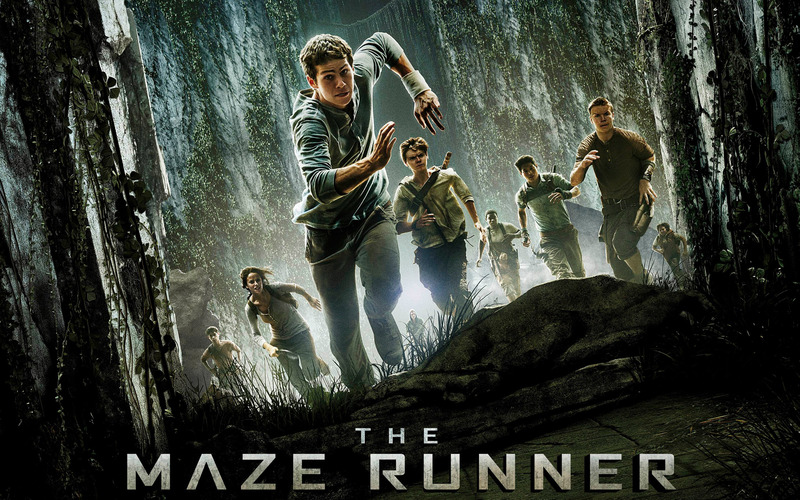 I took three friends to the premier of Maze Runner. 10PM in IMAX (the best way to watch a movie!) My expectations were high. The trailer sold me on this film. The idea of the unknown has always interested me. The Maze seemed, to me, a world of the unknown. And the characters in the center of this thing, from a glance, seemed interesting. Boy.. was I wrong. This isn’t an attack on the original story, or the book itself. This is an attack on the movie. -Visually, like all IMAX format films, it was awesome. -Half an hour into this film, I lost interest. I didn’t care about the characters or the situation they’re in. And it’s not the acting that made me not care. It was the writing. Am I the only one who saw this movie and hated the pacing and dialogue? When a film’s script is weak, it loses me. No matter how cool the special effects are. -Confusing things happen that take about half an hour to explain. -Slow beginning and middle, with an ending I didn’t care for. In my opinion.. This was junk. The concept was so cool, but in the end, the writing killed it. As I said, I lost interest early. When the teased the sequel at the end of the film, I openly laughed. By the time the credits hit, I was eager to leave. I know the book is a big deal. One of my friends told me the book was better. It might be. Save Money or Spend Money?